I don’t think this is your typical “why I run” story. I’ve thought a lot about how I would convey my journey to others. I was recently asked why I run and it took some time for me to put all the pieces together and weave them into the story below. As a child, I was not an athlete. I didn’t play sports and running seemed like the most tortuous way to spend any length of time. Now don’t get me wrong– I was active and healthy. I enjoyed working out, but being outdoors was totally my jam! I considered myself an avid hiker and spent a lot of time on the trails. The outdoors were, in fact, my favorite place of all. College came and went. Marriage, grad school and a difficult path to motherhood all ensued. Life was blazing by at an ever-increasing speed. Hardships ebbed and flowed as they do for us all. Getting outdoors and being active became harder and harder. I woke up one day and looked at myself in the mirror. I could barely recognize the person I had become, not because of the extra weight, but because of the stress and anxiety that had wrecked my life. I had found myself in my thirties as a newly-minted stay at home mom to two children with special needs. My first two children came into my life through the miracle of adoption. We had chosen the special needs path and I was learning that this was indeed a lonely and difficult journey. Unbeknownst to me at the time, I would soon become pregnant with a child who would also join his brothers in this difficult world of special needs. One day, on a total whim, I decided to register for a 5K that supported individuals with special needs. I thought it would be good motivation to get into shape and a way to help others. This led to a half-marathon that also benefited those with special needs. It was fun, but I wasn’t yet sold on being a runner. It turned out that running wasn’t as bad as I had remembered it to be. I was slow, but I was making progress. Then one day I decided to take running to my first love–the trails. And it was in that moment that this ultra running mama was born. I was sold. 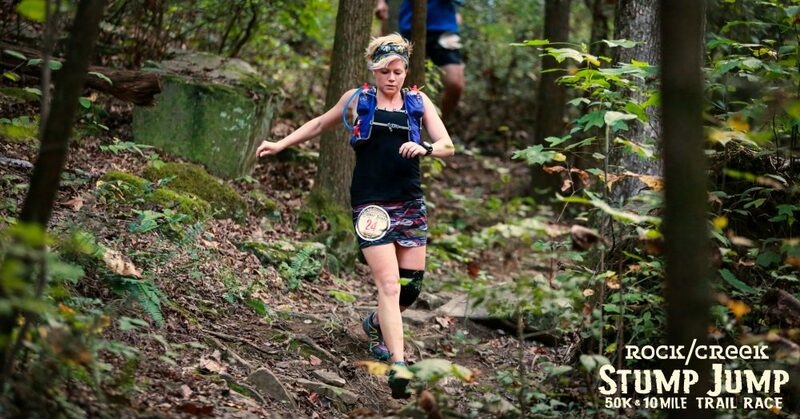 What started as a 5K to boost my weight-loss goal turned into one of the greatest passions of my life–trail and ultra running. I had fallen in love with the trails long ago, but now I had found a new way to experience them. Being able to use my own two legs to climb mountains and cover large of amounts of vast trail brought a sense of peace and joy that I cannot describe. Crossing the finish line of my first mountain ultra brought me a sense of accomplishment that defies words. The hardships of my life–the seemingly impossible ordeals I was going through–became much more bearable once I began overcoming the hardships of the trail. It was on the trail–during these difficult ultras–that I had found a strength inside of me that I had never known. Therapy. Running trails and completing ultras was therapy to my soul. Why do I run? Because running in these beautiful places reminds me of what a privilege it is to be alive. To have lungs that breathe air and legs that climb mountains…it makes life beautiful. So tell me, why do YOU run? The Mount Mitchell challenge was a total blast! It was an epic day on the mountain for me for many reasons. This was a run I had been wanting to do for a long time. I had run the marathon (aka “fun run”) twice. But I knew one day I wanted to actually go all the way and summit Mt Mitchell–the tallest peak in the east. To my delight, I got in the lottery this year and was so stoked but completely nervous. The first cut off for challengers is the turnaround point for the marathoners. You have to get about 14.5 miles up the mountain in exactly 3 hours and 15 minutes to be allowed to continue on to the summit. Since I had run the marathon the past two years, I knew the course and terrain very well… I knew exactly what I had to do. But I am a back-of-the-packer for sure, so I had mentally prepared myself for possibly missing the cut off. Long story short, I made the cut off with two minutes to spare! I had one of my best buddies running with me to keep me on target and I also had a lot of inspiration to help me up the mountain. (See my previous post for all the details.) It felt really good to be running for something bigger than myself. No doubt it played a large role in this race being successful (and meaningful!!) for me. The race begins in downtown Black Mountain. From the start, you run about 2.5 miles on the road before you head through Montreat and begin your journey up the mountain. You follow some lovely single track for a couple of miles before hitting a wider but very rocky off-road trail. You run this up to the Blue Ridge Parkway – which serves as the turnaround point for marathoners and the cut off point for challengers. From the parkway you have a few more miles of pavement. The theme here is up, up, up! Closer to the summit, we were able to take an awesome singletrack trail up to the top (the Old Mitchell Trail.) It was described by the race director as “burley.” And lemme tell ya, this trail did not disappoint! We were creeping and crawling over wet, slick boulders and shuffling through a gorgeous forest until we finally reached the clearing at the top. There had been rain off and on throughout the day so the views were hidden in a cloud at the summit. But man did it feel good to pause and take it all in! A few days ago I took to social media with a favor to ask of my fellow special needs mamas… and I was overwhelmed by the response! These amazing people are going to help push me up the mountain on Saturday as I attempt the Mount Mitchell challenge. 40 miles of mountain running of the tallest peak in the east. I am running for those who can’t. One of those names is my son. Each one will be sharpied onto my body… and each one will have a mile dedicated solely just for them!! I’m excited to run for something bigger than myself. Here’s to hoping Saturday is a success.